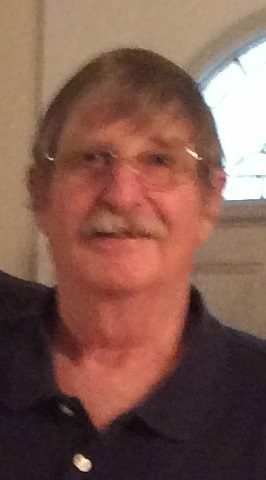 Paul L. “Mac” McManaway, age 66 of Savannah, GA passed away at St. Joseph Chandler in Savannah. He was born on February 18, 1952 in Logan, Ohio to the late Lester and Beatrice McManaway. After graduating from Tri County High School, Mac joined the United States Army. He served for over 20 years retiring as a Sergeant First Class and would continue to serve his country as a private contractor. Mac was proud to serve his country and defend her and over the years he gave many donations to different organization to help his brothers and sisters in need. He was described as a loving and caring man. He was quiet and loved just being at home with his wife, watching TV in his big recliner. He enjoyed bowling and playing the lotto, using the same numbers for ten years always looking for them to all come in. Mac and Betty looked forward to going home to Ohio and looking for wild mushrooms as they walked through the woods. Mac had a thrill for speed. He loved building race cars and did a little racing himself over the years. They went to the Gator Nationals drag races every year and enjoyed the chance to meet the drivers. It didn’t matter if it was cold, hot or raining being together at the race tracks was always fun. He will be forever remembered as a loving family man, that had a servant heart and a true American Hero. In addition to his parents, Mac is preceded in death by his brother, Mike McManaway and sister, Connie Burch. He is survived by his wife of 28 years, Betty H. McManaway; children, Charles (Wendy Wray) McManaway, Becky (Jason) Huffin, Duane (Donna) Smith and Chris (Sherri) Evans; grandchildren, Tyler McManaway, Whitney McManaway, Austin Huffin, Wyatt Huffin, Caleb Smith, Brandon Evans, Acy Evans, and Ryan Evans; great- grandchildren, Jaxton, Hudson, Adalynn, and Charlette; sisters, Rosemarie (Roger) Miller and Pat (Peggy) McManaway and a host of nieces and nephews. A Life Celebration will be held on Saturday, February 2, 2019 at 12pm in the Chapel of Springfield Funeral Home. The family will receive friends on Saturday from 10am until the time of service. Burial will follow at Springfield Memorial Gardens with full Military Honors. I am so sorry. Prayers will be sent to my sister Betty and the family. I pray God will wrap you all in his loving arms, keeping you all safe, and giving you strength in this time of sorrow. My heart, thoughts, and prayers are with you all. Paul was a very nice Brother-in-law and will be sadly missed. Paul is in a much better place reunited with Mom, Dad, Connie, and Mike. and one day we will all be reunited. He received his wings, and will now be a Guardian Angel to all his family. I love you all and am so very sorry for your loss.